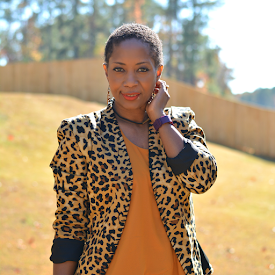 Now that we are on the cusp of summer, it's time to come out of hibernation. Winter was all about cozying up in front of the fire with a good book or binge watching several tv shows. I'm so ready to invite our friends over for a listening party where we can share some hearty belly laughs. Good food. Good music. Good wine. Nothing says relaxation and fun like a listening party. It's a chance to chill out. Put your feet up on the couch but also get in a little two step should the spirit move you. It gives you a chance to really talk to each other but also sit back, take a breath and absorb the music. Choose your wine. 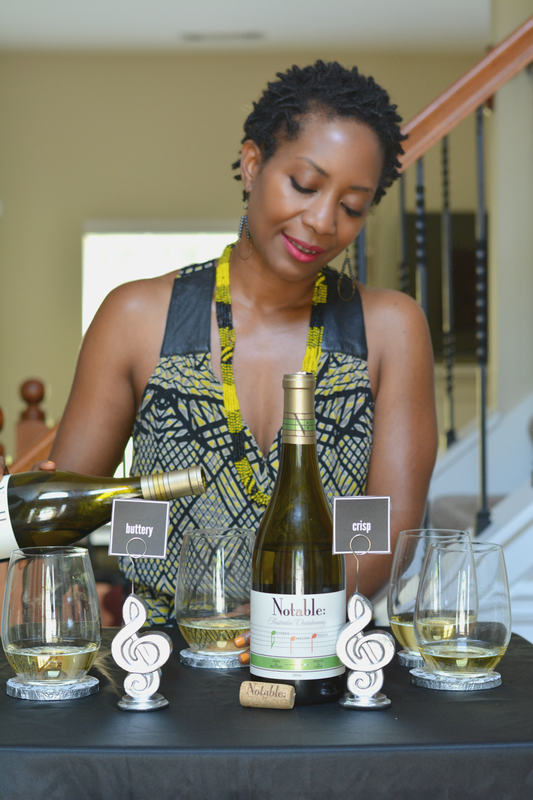 Chardonnay is the kind of wine everyone can enjoy. It's easy and fresh tasting. 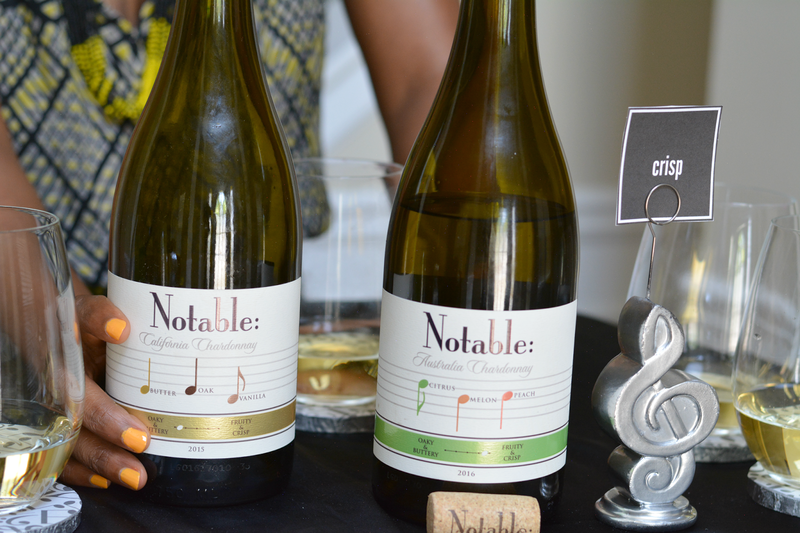 Notable is the first and only wine to list flavor profiles right on the bottle. How wonderful is that? The wine aisle can be overwhelming with so many regions and tastes to choose from. 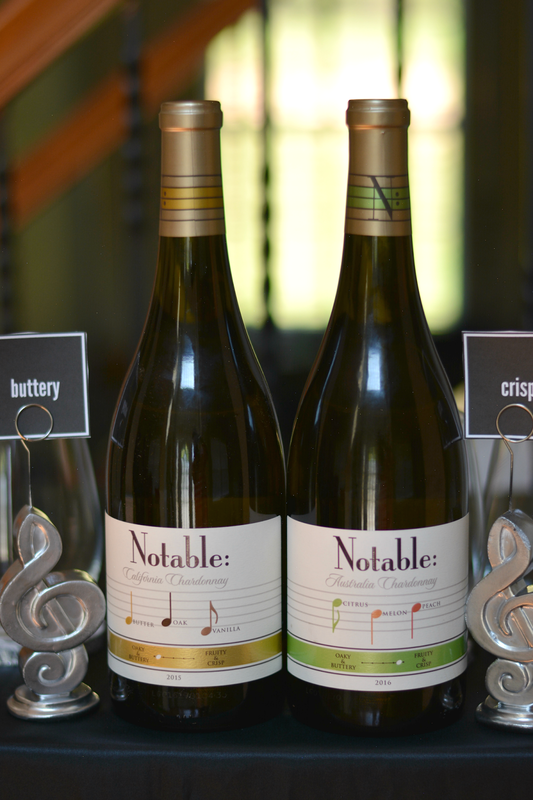 With Notable Chardonnay, you already know what's inside and have a better understanding of the flavors you will enjoy. What you see is what sip. For the oaky chardonnay lovers, Notable California has flavors of butter, oak, and vanilla. For the non-oaky types, Notable Australia is lighter and more fruity with citrus, melon, and peach notes. Be sure to take your bottles out of the refrigerator about thirty minutes before serving. Chardonnay is best served cool not cold. Choose the food to be served. Chardonnay pairs well with with lots of different foods from creamy pastas to fish. A good rule of thumb is to choose foods that are lighter in color. 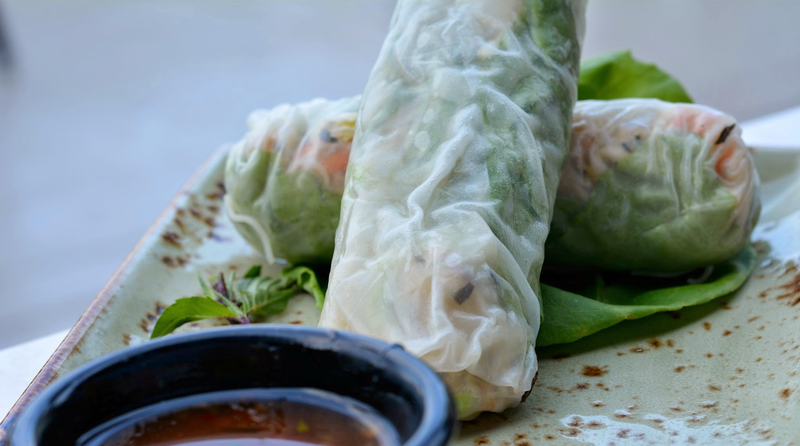 If going with small plates, cheddar cheese, creamy dips, and vegetarian rolls are good options. Favorite song at least ten years old? Then shuffle it all together to create one master list. The guilty pleasure songs are bound to be eye opening for all. 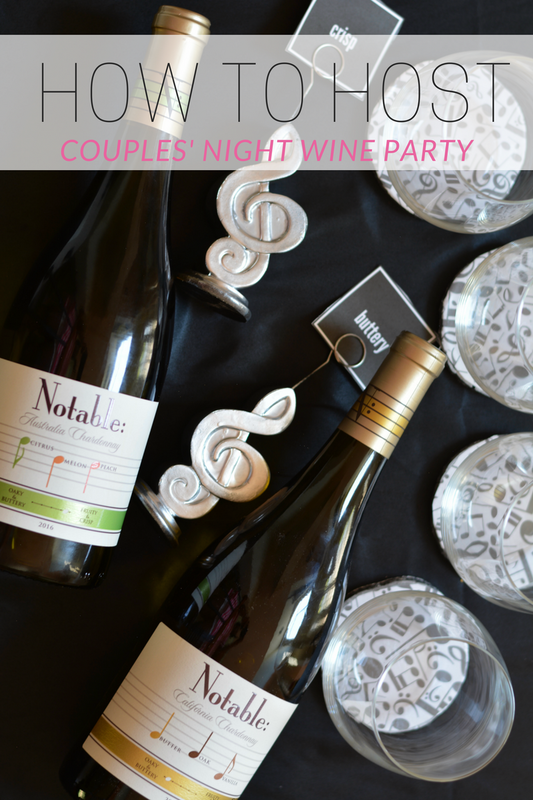 Make it special for guests by adding some party touches. Simple accents like wine coasters add to the festive mood. I made coasters inspired by Notable and the listening party theme. 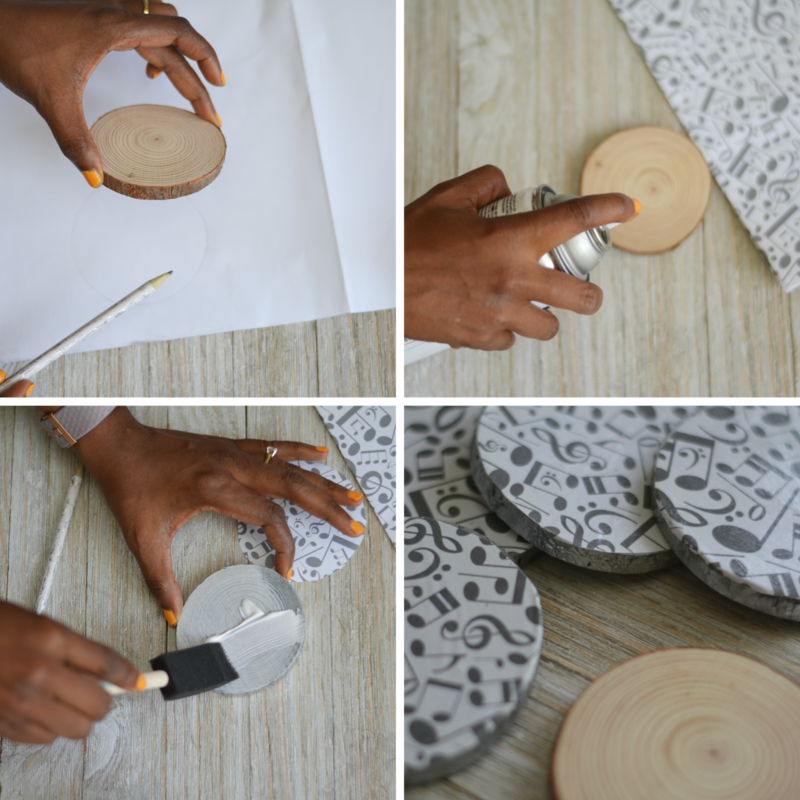 What to Do: Spray paint the wood rounds. Let dry. Cut wrapping paper to size of round. Add glue to top of round. Place cut wrapping paper on top of round and glue in place. Use brush to smooth. Don't forget National Chardonnay Day is May 21st. Prepare yourself and pick up Notable California Chardonnay and Notable Australia Chardonnay to celebrate! What's your preferred chardonnay? Oak or non-oak?